Yeah, OK, we’ll buy one. 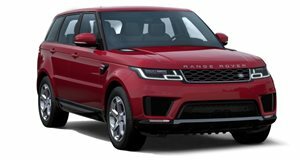 If you were to look at the Range Rover SVR next to the German competition, it might not be immediately clear which one you should buy. It might still not be clear after watching this video, but Jaguar Land Rover's Chief Engineer for Vehicle Integrity Mike Cross providing commentary while the vehicle is drifted in slow motion around a track makes for a pretty compelling argument. Is it actually better? That’s not immediately obvious. What is obvious is that Land Rover makes one damn fine promotional video, and a good looking vehicle to boot.